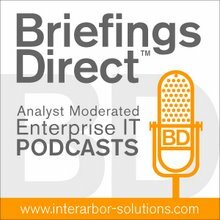 In a recent podcast discussion, I tapped two HP executives on how to best manages productive transitions of data center assets -- from security and environmental impact, to recycling and resale, and even to rental of transitional systems during a managed upgrade process. I spoke with Helen Tang, Worldwide Data Center Transformation Lead for HP Enterprise Business, and Jim O'Grady, Director of Global Life Cycle Asset Management Services with HP Financial Services. Helen Tang: Today there are the new things coming about that everybody is really excited about, such as virtualiz ation, and private cloud. ... This time around, enterprises don’t want to repeat past mistakes, in terms of buying just piles of stuff that are disconnected. Instead, they want a bigger strategy that is able to modernize their assets and tie into a strategic growth enablement asset for the entire business. Yet throughout the entire DCT process, there's a lot to think about when you look at existing hardware and software assets that are probably aged, and won’t really meet today’s demands for supporting modern applications. How to dispose of those assets? Most people don’t really think about it nor understand all of the risks involved. ... Even experienced IT professionals, who have been in the business for maybe 10, 20 years, don’t quite have the skills and understanding to grasp all of this. We're starting to see sort of this IT hybrid role called the IT controller, that typically reports to the CIO, but also dot-lines into the CFO, so that the two organizations can work together from the very beginning of a data center project to understand how best to optimize both the technology, as well as the financial aspects. Jim O'Grady: We see that a lot of companies try to manage this themselves, and they don’t have the internal expertise to do it. Oft en, it’s done in a very disconnected way in the company. Because it’s disconnected and done in many different ways, it leads to more risks than people think. E-waste legislation resides at the state, local, national, and regional levels, and they all differ. There's some conflict, but some are in line with each other. So it's very difficult to understand what your legislative requirements are and how to comply. Your best bet is to deal with a highest standard and pick someone that knows and has experience in meeting these legislative requirements. This may sound a bit self-serving, but I always suggest for enterprises to resist smaller local vendors. ... If you don’t kick the tires with your partner and you don’t find out that the partner consists of a man, a dog, and a pickup truck, you just may have a hard time defending yourself as to why you selected that partner. Enterprises should well consider how they retire and recover value for their entire end-of-use IT equipment, whether it's a PDA or supercomputer, HP or non-HP product. Most data center transformations and consolidations typically end with a lot of excess or end-of-use product. For example, if you look at a leasing organization, when you lease a product, it's going to come back. A key strength in terms of managing your residual is to recover the value for the product as it comes back, and we do that on a worldwide basis. We're seeing a big uptake in the need to support legacy product, especially in DCT. We're able to provide highly customized pre-owned authentic legacy HP product solutions, sometimes going back 20 years or more. The need for temporary equipment just scaling out legacy data center hardware platform capacity that’s legacy locked is an increasing need that we see from our clients.